The technology sector is buzzing with both excitement and concern over artificial intelligence (AI) and the role it should play in our daily lives. But what exactly is AI, and how might it impact your finance and HR organizations in the (very near) future? AI, a term coined only in the last century, describes the ability of machines to be creative and process abstract “ideas” much like humans do. 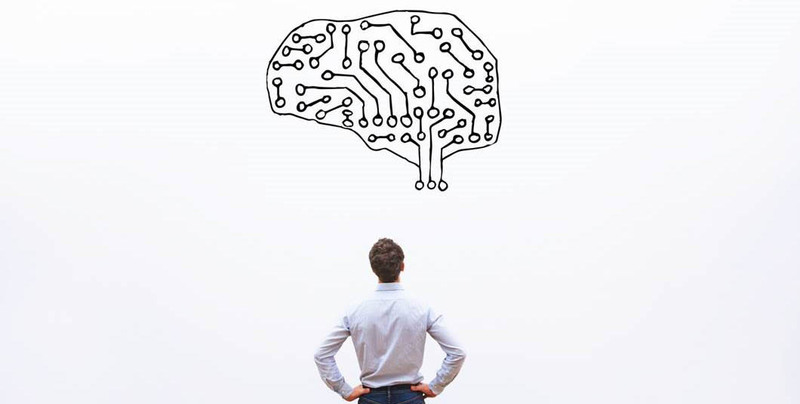 There are several categories that fall under the umbrella of AI, but machine learning and predictive analytics are the most prevalent form in today’s workplace. Machine learning is a field of AI that uses statistical techniques to give computer systems the ability to "learn" from data, without being explicitly programmed. 1 Predictive analytics allows decision-makers to understand what their current data means for the future and act accordingly. With advanced machine learning and predictive analytics tools at your fingertips, you can gain big-picture insights and visualize patterns and future trends derived from huge data sets within a matter of seconds. The significance of this technology is far-reaching. A task that usually takes a team of people many hours to complete – which includes reviewing, analyzing, drawing conclusions, and making future predictions from large amounts of financial data – will only take a few seconds for a computer equipped with AI. This means that now, more than ever, it’s critical for organizations to strive for high data quality across their systems. For example, imagine changing the oil in your car and not noting the number of miles on your vehicle or resetting the number of miles on your trip meter. You realize this a couple months later and have no way of knowing what the correct number of miles should be to get another oil change. Your future success is limited by the lack of information retained, and you’ll either change the oil sooner than it needs to be done, or when it’s too late. It’s the same with your organization’s financial and HCM data. AI is already here, and organizations with varied, disparate systems that have stale data risk missing out on the many benefits of this technology. Let’s examine two key areas in which AI is already starting to evolve finance and HR organizations. An exciting possibility also exists in the ability of AI to help us better understand our talent data and make more informed decisions based on performance reviews. The opportunities are endless if your organization has accurate, complete, and consistent data ready to be analyzed by intelligent tools. Few things are more critical to an organization than gaining insights from its data. How can leaders make better, smarter decisions about their organizations with the help of AI? While many organizations struggle to keep up with their spreadsheets and manual processes for gathering and analyzing data, those who utilize a unified, cloud-based system are already off to a good start. AI, including machine learning and predictive analytics, is not a far-off, futuristic technology. It is here now and only getting sleeker and more usable with time. Your organization is far from the only one looking for a way to make more informed, efficient, and profitable business decisions. What’s clearer now, is that the ability to make these fully-informed decisions with actionable insights is dependent on an investment in systems that promote the maintenance of clean, accurate data. As more organizations invest in AI, leaders need to focus on preparing their organizations to capitalize on the technologies that will soon be the new normal. Curious about how to start using AI within your Workday system? Want to understand how you can work AI into your transition to Workday? Click here to send in a request and our team would be happy to answer your questions. 1 Koza J.R., Bennett F.H., Andre D., Keane M.A. (1996) Automated Design of Both the Topology and Sizing of Analog Electrical Circuits Using Genetic Programming. 2, 3 Bersin, Josh. (2018) AI in HR: A Real Killer App.